Well crap search didn't work and I haven't got time to go back and read all of the post. Here is a link to pliobond sold at aircraft spruce. Have used it lots in the aircraft repair business over the years. I see its not for sale in a lot of states. They do have a Cali compliant version for sale. That is a neat company. 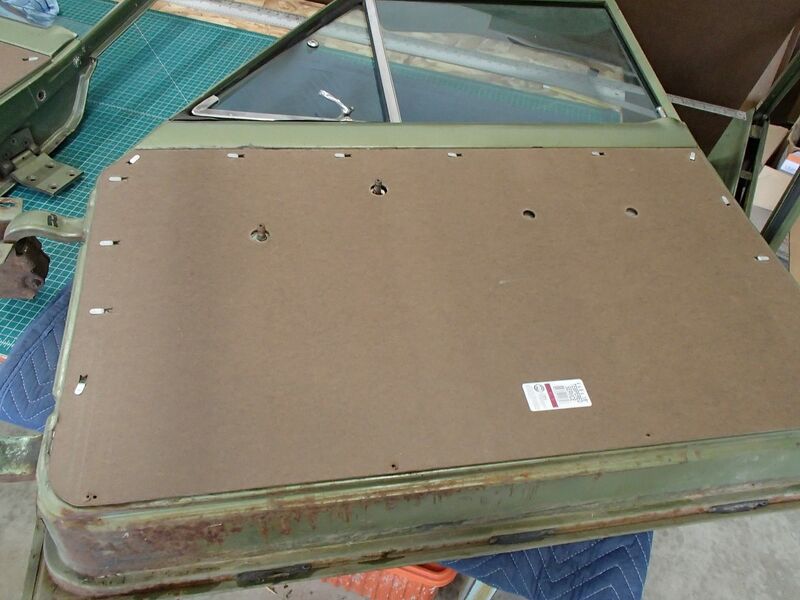 I got the brake rivet press from aircraft spruce to rebuild the division bar for the front windows and vent frame. It was nice to find a quality made tool. Frank it was white. Careful sanding as the wheel parent material is soft and can be over sanded. I taped the surrounding area till it was near level. Then blended it. Try not to get to much on it before curing. I am still in Seattle or I would go check for you. It was white though. My almost reliable (not really) memory wants to say PC 11. Bill and I hit two different stores yesterday for several samples of thin foam. It's in the truck waiting for the trip home. I think I found what I need and bought enough for several door panels. 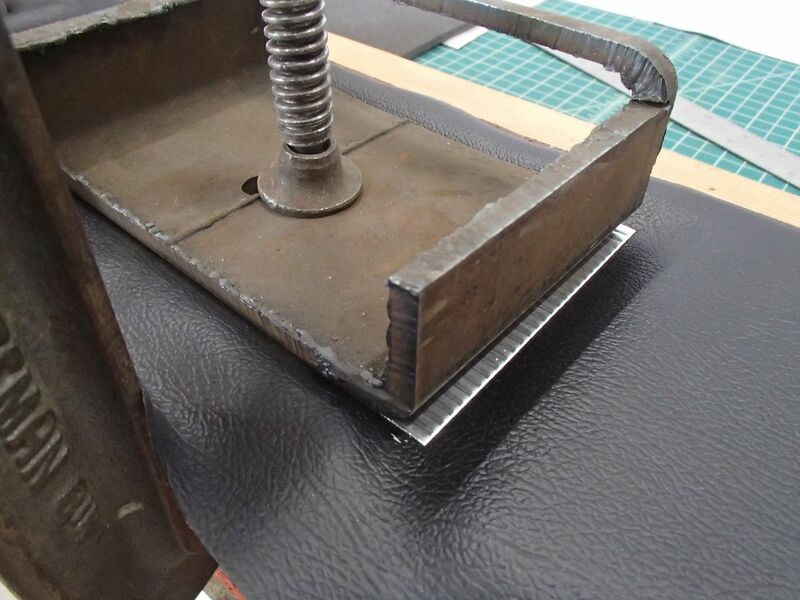 I still need to make some metal embossing samples for pressing the vinyl. My mind is busy with it. Still looking for a cheap oven big enough for a front door stamp. Ordered. Sure hate it when shipping is almost as much as the product! I see that a lot. Lately I have been getting packages up to 5 days late after seeing on their tracking site it is on the truck for delivery that day. I suspect the driver does not want to make the trip here. It is remote and a long round trip if I am the only one with a package on the truck here. And the weather exceptions my a55, Our roads are plowed by 7AM. Who knows. Last edited by Kaiserjeeps : 03-14-2019 at 09:08 PM. I meet my cousin in a couple hours for editing the door cards (panels). The truck is loaded with panels, clips, door shells, and old complete panels for patterning and building files for the water jet. I made it home from Seattle last Monday about two hours ahead of a huge snow storm here. So Tuesday with an exception of two hours in the shop to check the fit of the new panels, I spent the entire day moving snow. I kind of enjoy endless hours doing that. That is my thinking time. So the panels fit pretty well. There are edges and curves that need correcting. The back door. 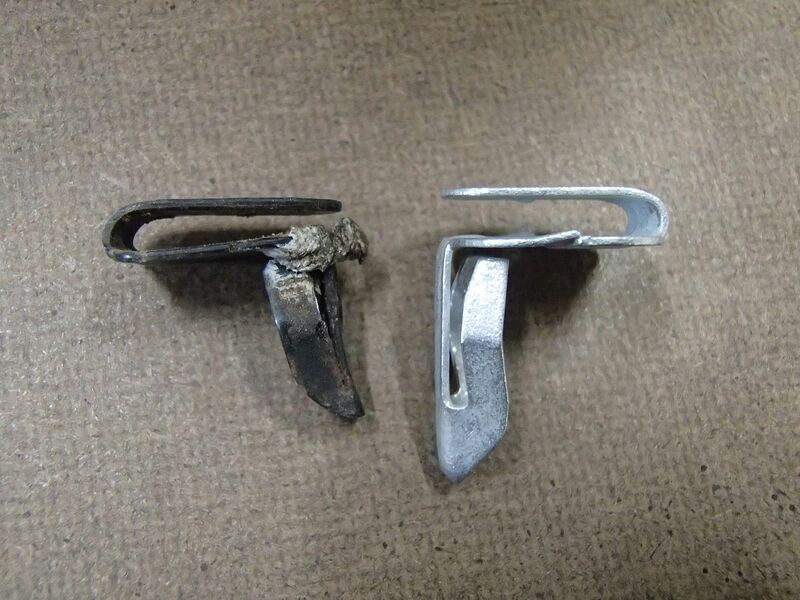 I reversed the clips and made sure they fit both sides. It does. I also checked all the doors I had here for fit. I fortunately had a very early door shell. Hole alignment is great. I like Auveco products. Their catalog is amazing. 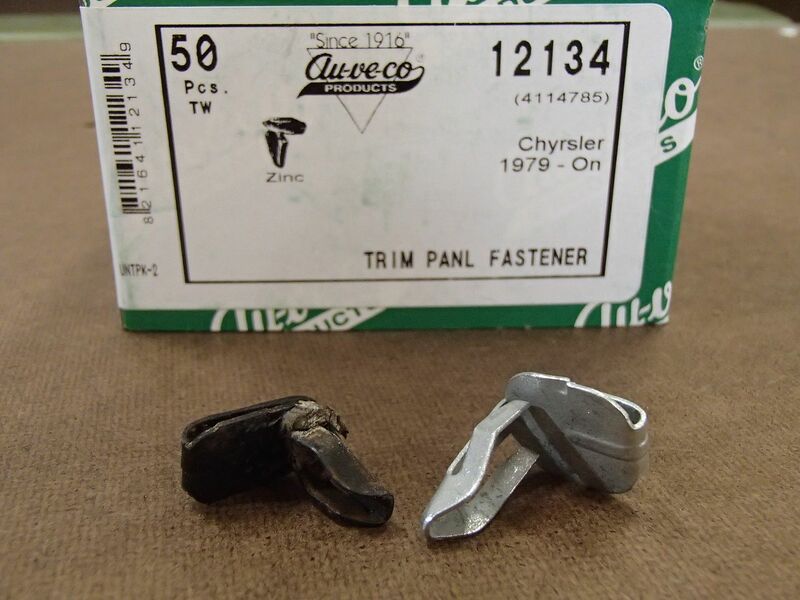 Here are Chrysler clips that work very well. A little longer but they fit. The exact match clips were made but discontinued. A lot of people have PM'ed me asking if I have found the right door mounted seals. I have great news. YES I found a Auveco profile that is super close. The seal lip is in the right place. 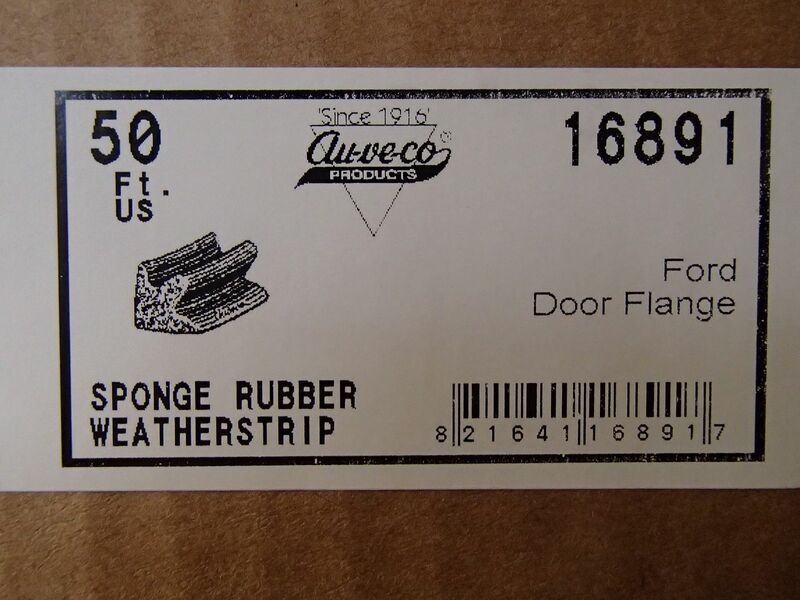 Steele rubber products wanted 4.50 cents a foot!!! There is over 50 feet of seal needed here. It would have costs a fortune. Auveco is a great supplier. The box was way more reasonable. A test fit. Just perfect. I still have filler pieces to make from high density foam. And one more profile to locate for the front edge of the rear doors. This one. It goes on the forward edge of the rear doors. I will look tonight. Photobucket is stuck on stupid for this picture. I will try to load it later. I will post all of this up in a separate thread when I get all the information so this door seal information and part numbers are not buried in an endless build thread. Easier to find on a search. The part number. Keep in mind this is a 50 foot box. There is a different part number for a 25 foot box. Now this is confusing. This is the profile (on the right) of the seals on my 1969 X model doors. I don't know if someone has changed them or if this is a factory seal. The Auveco profile is close but the lip is long. That may affect how the door closes. I may just switch to the 1970 style seal later. Just for grins, this is how much the Sadies original vinyl has shrunk from 1970. I might restore these with custom cut panel boards (smaller) so the rig can go home with something on. IF I don't get new panels built in time. In the long run, I would like panels that are new looking and CRISP with detail. I am not there just yet. I said yet. I have been thinking about door panels for more that 5 years. How to do it. I am really excited to be here finally. Last edited by Kaiserjeeps : 03-14-2019 at 11:09 AM. You're cutting that stuff on a water jet? The little I've seen of them it seems the whole thing ends up covered with water, not just near the cut line. How are you getting the clean edges? Seems like they would soak it up even if you applied that hardener stuff. Does it soak all the way through? I picked them up about 2 hours after they were cut. There was no sign of moisture at all. I have gotten snow or water on them loading and unloading and saw temporary staining. I don't know how they were kept in such good shape. The board is tempered board from Home Depot. Partially sealed with an acrylic that California's labeling law is warning me to stay away from. Once I have a final product I will apply the wood hardener and that will seal them completely before I apply the top layers of foam and vinyl. I did try to relocate the lower screw holes on the bottom. The board shredded and a fuzzy mess was made. The holes have been deleted since they are not drilled in a standard place. Each door was different. 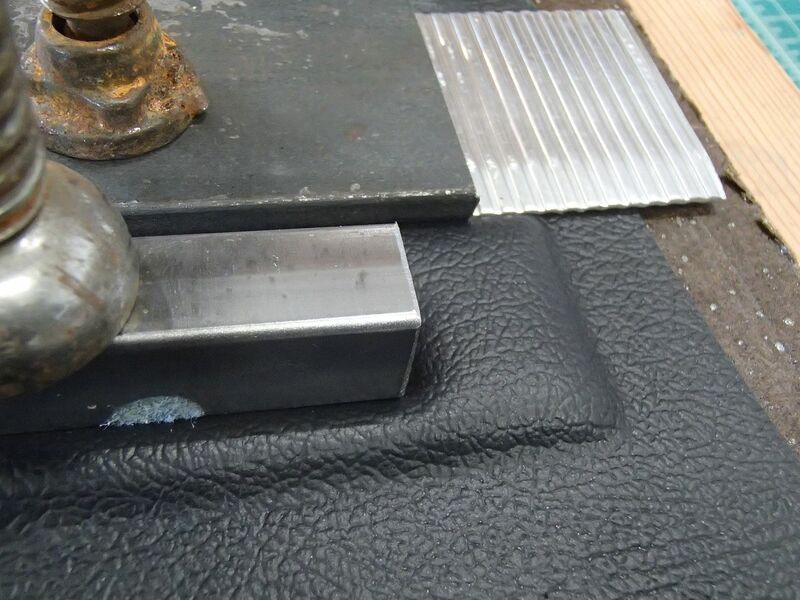 So I will build a marking tool to insert in the screw holes and tell me where to make holes. Probably using a very small bit then a fine mini rat tail file to keep it clean with no fuzz. I spent the day getting the panels corrected and files over written. I already have an email to the water jet company requesting another cut. I will certainly keep the information coming as I get it. Just plain slow as usual. Great info as always.A bit puzzled by the weather strip pic.First pic.Where is that placed on the door?.Is that what they used on later models?Your second is pic is exactly what I have(had) on my 65 J-3600. .Along with the added flat strip that was glued on .If I remember right the flat piece was added at the top and latch side of the door only.I think the larger size will be better actually.I'm sure they'll fit nice.Also,what's your plan for glue? Edit_ I just had a look on there website- There's 2-3 that look like they'd work.One looks a little fatter(taller).Did'nt see flat stuff thou. PS-Whatch your back shovelling all that snow!!! Last edited by Stumplake : 03-15-2019 at 09:26 AM. Interesting on your post. So you have the Vee type like my X model if I read correctly. So here is a thought. Late 69 AMC was getting the purchase from Kaiser under way. 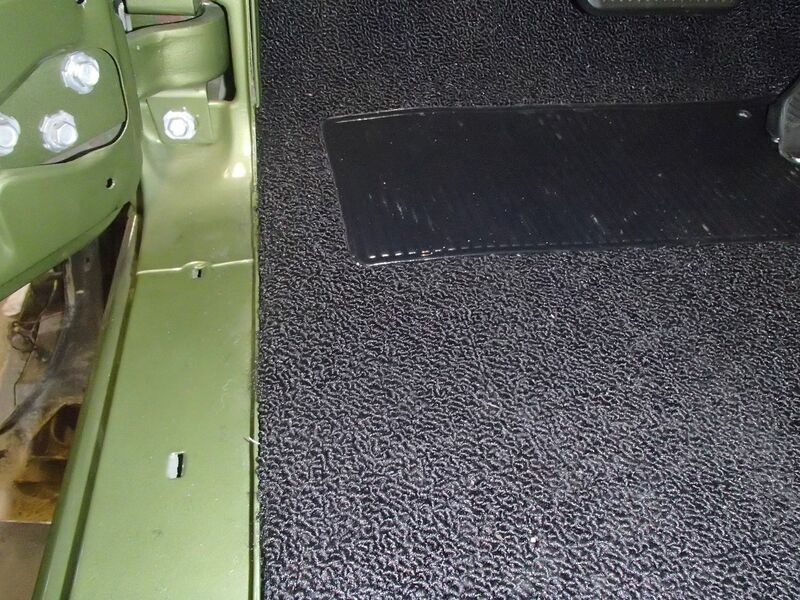 Maybe just maybe from your 65, my 69 and moving into 1970 a change could have been made to the Ford style weather stripping like in my first and second pic. That seal goes all the way around the front doors. There are filler pieces under it in a spot or two. The seal went around the back door but only on the top, rear edge down around the wheel house curve and under the door. The front vertical seal was a different type. This style right here... This is the photo that photobucket was not processing for some reason. 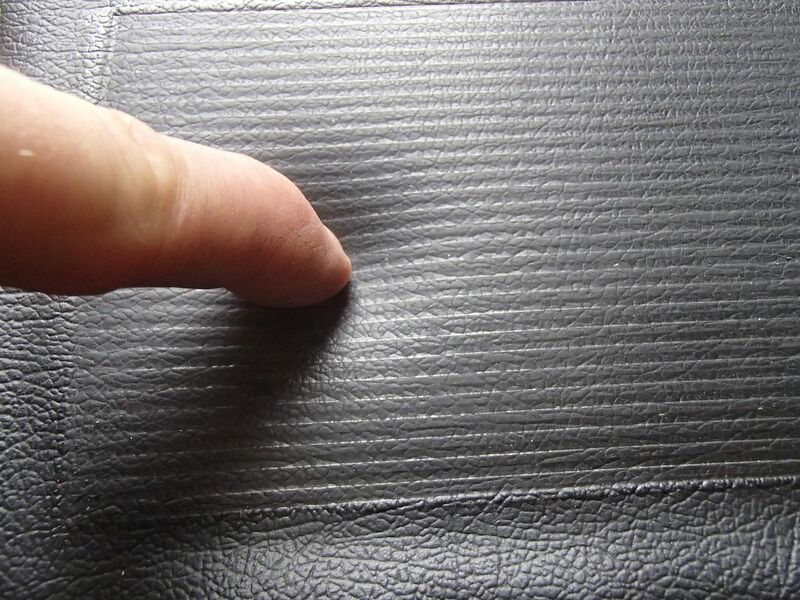 Note the thick solid skin for not showing the air bubbles after some wear occurred. I think I have located something that will work. Darn weather stripping companies don't post seal dimensions. It is impossible to tell if something will work. Some do and some don't. I just got off the phone with the water jet company. They will run my second set mid week next week. I drove Sadie for the first time. To move out of the bay and into another around the other side of the building. It was major hairball with the gas pedal not mounted sitting on a milk crate. I won't be doing that again till the pedal is on the studs. That's all I am saying. Don't read this Bill. PS Sadie is just fine. So now it was time for door panel 101 class. Since I have no clue what I am doing, I had better figure it out. I prepped two 20 inch long pieces of panel board. I glued the foam I bought in Seattle and then topped it with one of the three vinyl samples I bought here. I used open cell 3/16 foam and tried a small patch of closed cell 1/8th foam to see what happened. I will start by saying all of it was to thick. Even the 1/8th made it poofy and not the same as original. So I can see that the original vinyl has 1/16th foam behind it. I should have waited to buy the foam. But while in Seattle I wanted to get around with Bill and see some of my old home town. I will find a use for it somewhere. 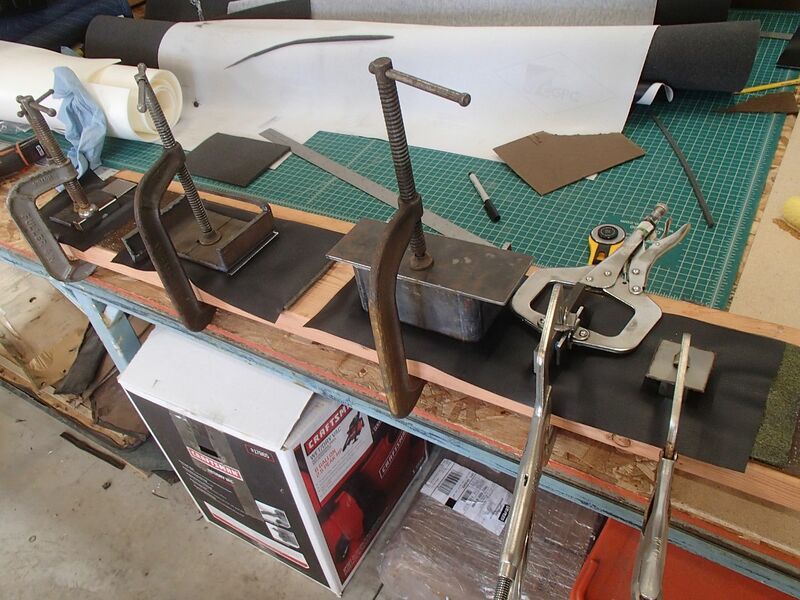 Here is the prep of the boards. 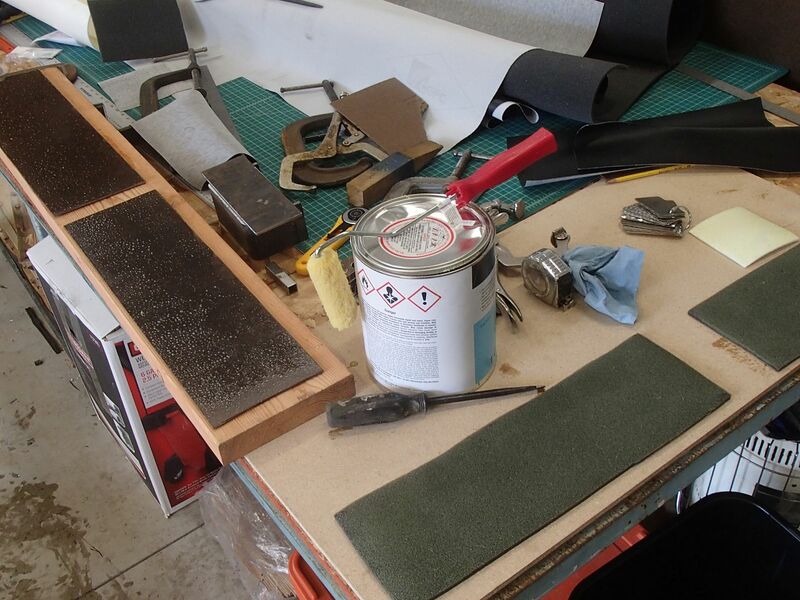 Glue, then foam followed by more glue, then vinyl. I can see now that my shop was to cold inside. 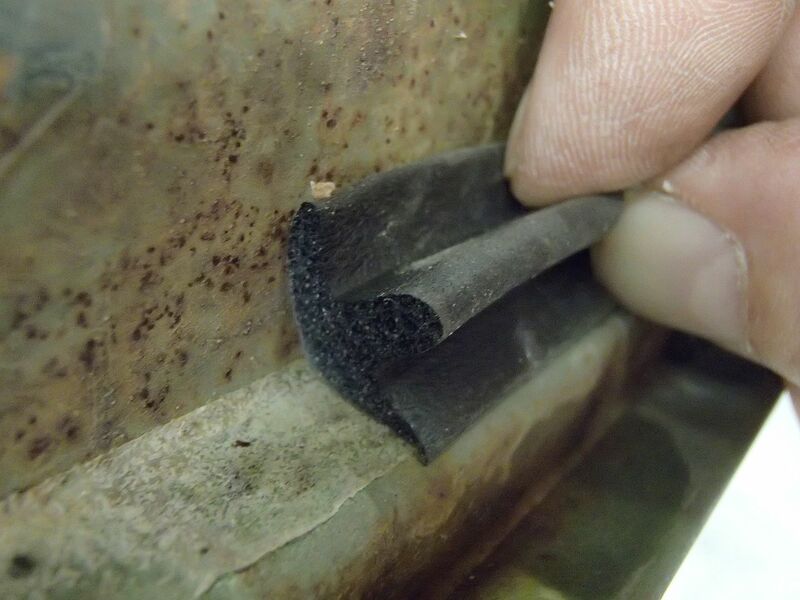 You need heat to dry the contact cement when you apply as much as needed to fill the foam. 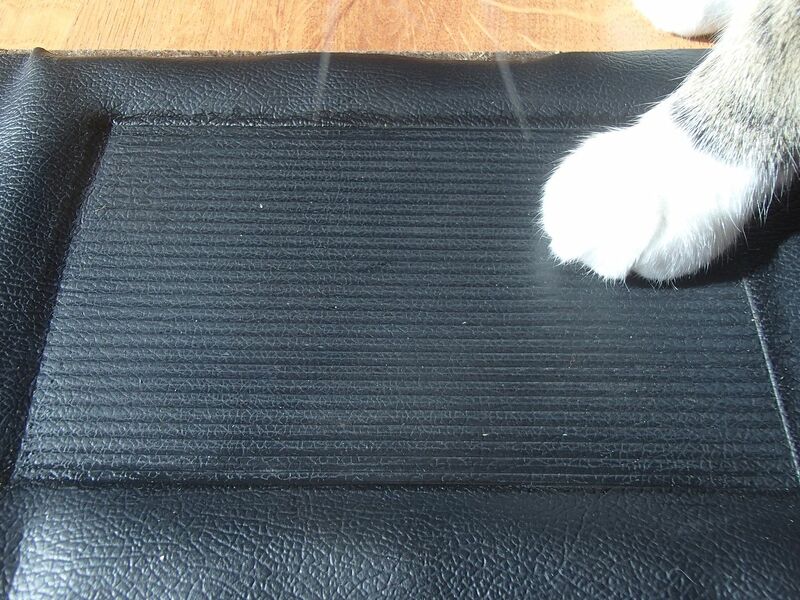 I experimented with the ribbed aluminum tailgate panel material. 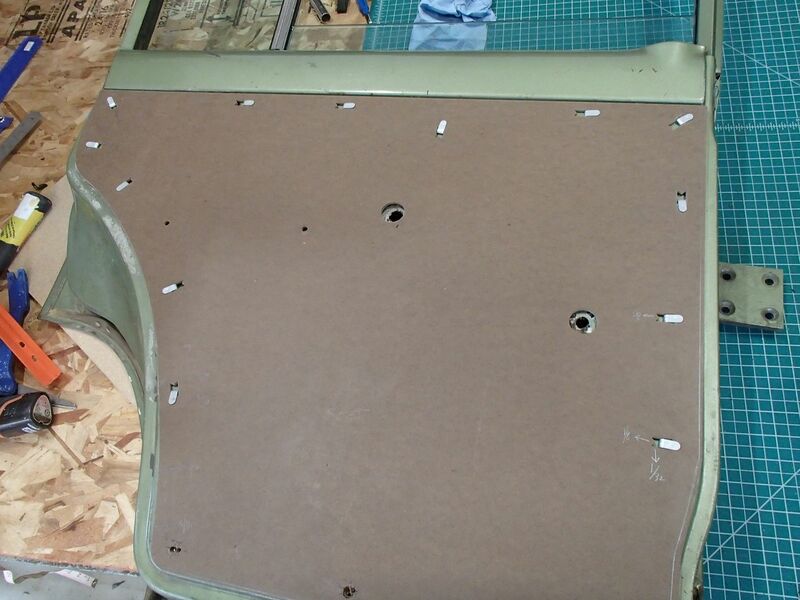 It is a perfect pattern for the deluxe door panel patterns. I clamped the heck out of it. I witnessed liquid wicking up around the edges of some of the parts. Glue residue coming through the vinyl? Another reason for more shop heat. The glue needs to be dry before all this. This is the 1/8th closed cell foam. I did not expect this to work since the foam in theory needs to absorb glue to maintain the crush. I tried a rounded edge piece of tubing since I wanted to see how it imprinted. I let everything sit overnight. I got the main shop heated to 75. I moved the parts in for the evening. After removing the press parts. This is the closed cell foam. Wow, looks pretty good. Buster the cat chose this one. He always has input. This is the open cell 3/16 foam. Notice the staining at the edges. The more pressure applied, the better the imprint. I brought the panels in the house and set them on the floor to sit in the sun. I wanted to see what that would do. 70% chance of sun right? Sure enough The foam did some lifting. 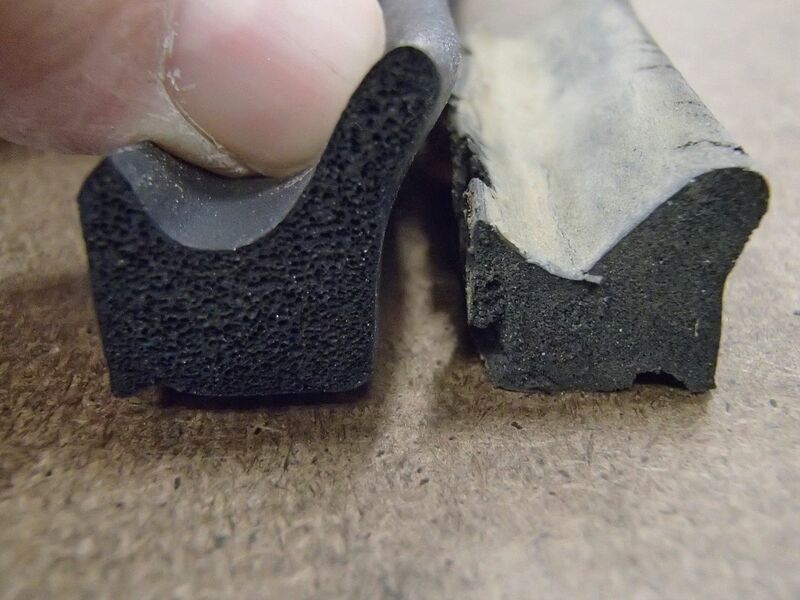 Another reason for super thin foam. Lots of unwanted lift here. I think it is because the foam is to thick, and the room was to cool for the wet application of contact cement to do its thing. Lessons learned. More room heat. Spring is warming things up to be able to get the smaller shop warmer for this work. I am ordering several yards of 1/16 open cell foam. No more 1/8th or 3/16th thick. I don't like the results. I will get a price on water jetting the patterns out. If need be I will try to make them by hand. I absolutely would like to use heat here. But that is another month or so building an oven big enough and getting the melted vinyl of my super cool pattern. While all that was drying I started fitting the carpet. The trip around the shop to the South door in the ice was major hairball with the gas pedal not mounted down. Then I discovered the throttle return spring was hanging there not connected. No wonder I had a ball moving Sadie under her own power. I have the front section fitted and trimmed. Careful cutting because just when you think it is in place, you find it hanging up on something and able to be moved even more. It went well. Time to move rearward. 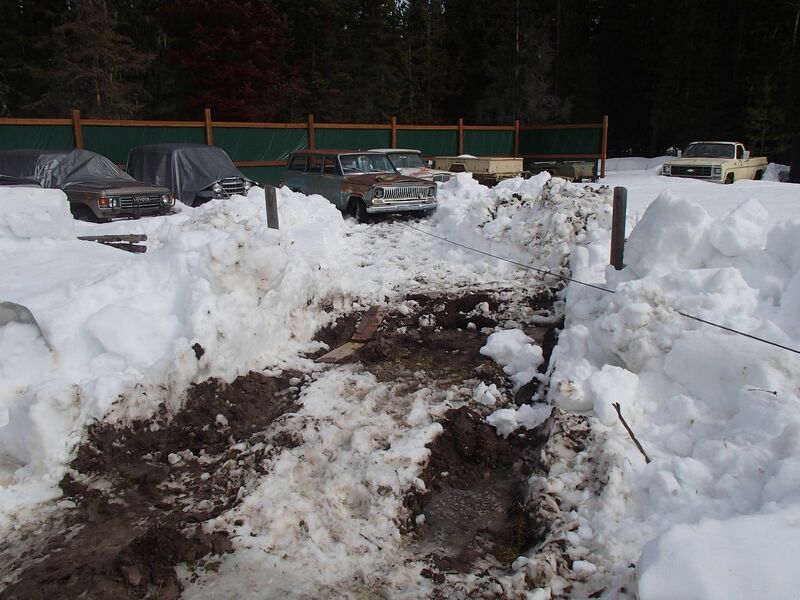 And all the while I decided to try to extract the spare 70 wagoneer buried in the side yard. I have needed to have a look to see exactly how things are installed. 9 years apart can mess with your memory. 9 minutes does me in. I promptly got my tractor stuck instantly once I left the driveway. It took a very long time to get it out. Notice there is no photographic evidence? I had to hand dig the whole way out for the wagoneer. Winch line courtesy of one very handy CJ-5. It is now sitting on gravel and available for helping me figure the very last details on Sadie. Did you consider ordering the door panels from BJ's? I am fast approaching that stage and following very closely. 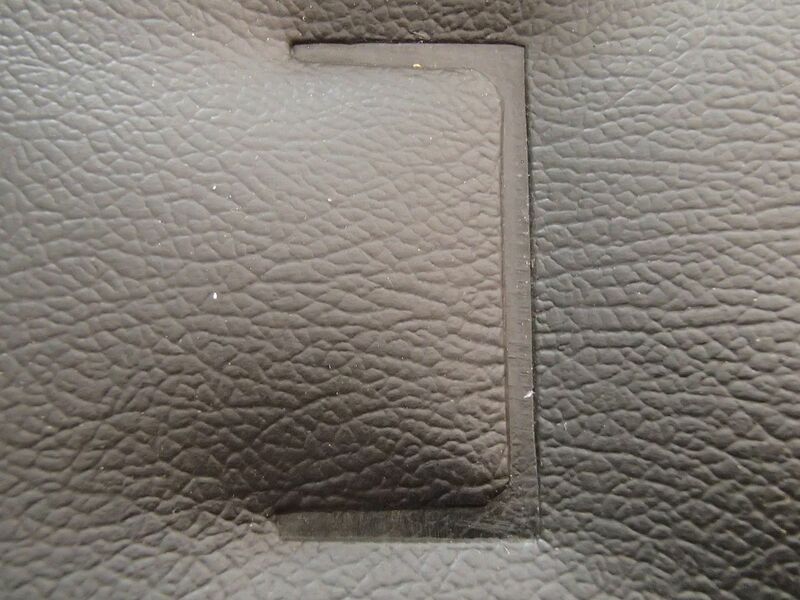 I just looked at BJ's door panels. They would do for a quick solution, but honestly they are not for me. At least for this build. The ABS panels are well, never mind. There is to much that can be created with a door panel to have nothing on the front side. Unless it is a muddy wheeler rig. The ABS panels cost a lot. I am hoping to offer all 4 blank water proofed panel boards for someone to build what they want on the front side for something close to what they want price wise for one front or rear set alone. I will know more by mid week. If all goes well I will be hopefully marketing fully built out door sets. I have some things to figure out first. I am confident I will get there. 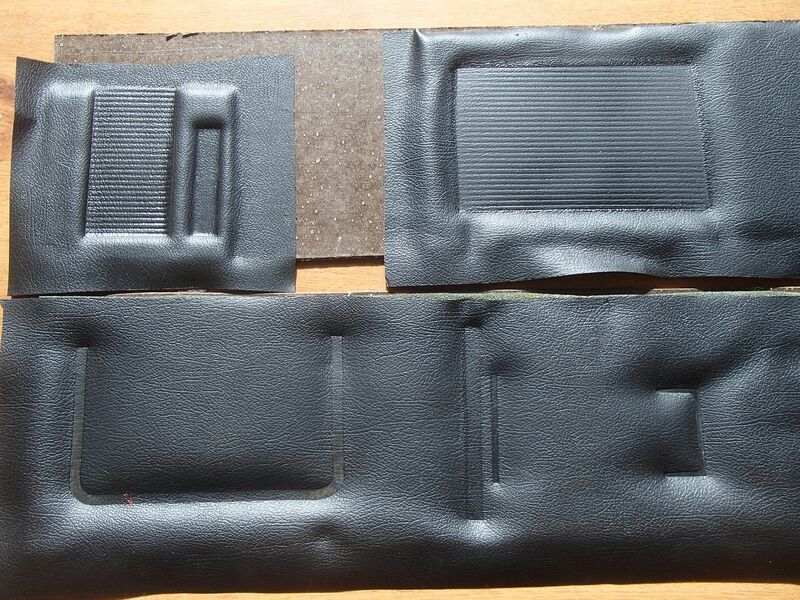 I dug out all the other rear panels this afternoon to see what I need to make there. I just did some more pattern experimentation tonight. Using a felt like product and also with no backing. I ordered a couple yards of 1/16 open cell foam. You were soaking door panel vinyl in 303 and seemed pleased with the results if I recall correctly. Gave me an idea. What do you think of using it on wiring to soften the insulation? The 303 did a great job of making extremely brittle dried up vinyl flexible again. I was a long soak at 8 months in plastic and flannel sheets to keep it moist. The problem I have found is with age the vinyl panels shrunk quite a bit. I was hoping to re-glue them to new door cards or boards. 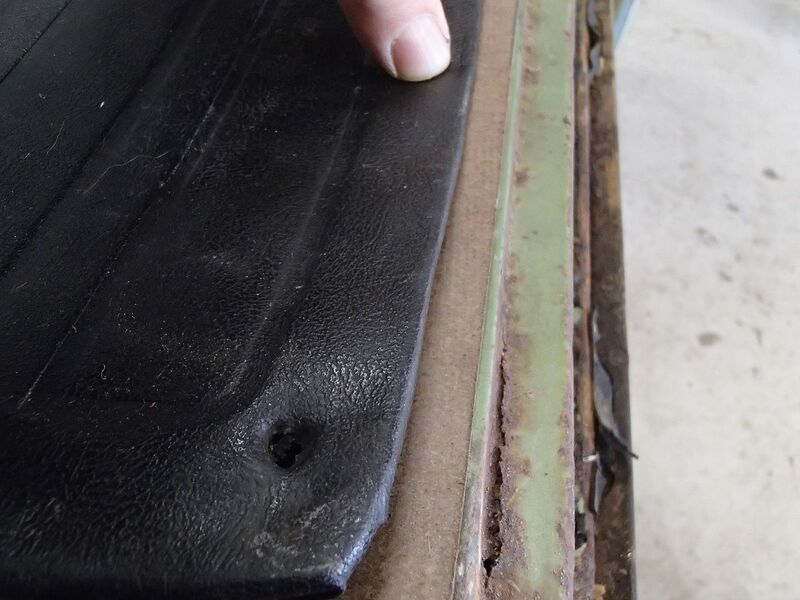 I just spoke with Bill today regarding gluing the old vinyl on trimmed back panels as a temporary measure till I can perfect the new panel thing. I need to look at it all tomorrow to see if I should try that. I spent the whole day down in Spokane at the water jet company. They ran the REV 2 of the door panels and I test fitted them on a front and rear door in the parking lot. Dan the guy helping me made one change to each panel quickly for me on the computer and I am having him run as many panels as he can with the full sheets I left him. They look just super. I will go get them all in a day or three. Sorry I got a little side tracked with your question with what happened today. No I would not use 303 on brittle wiring. 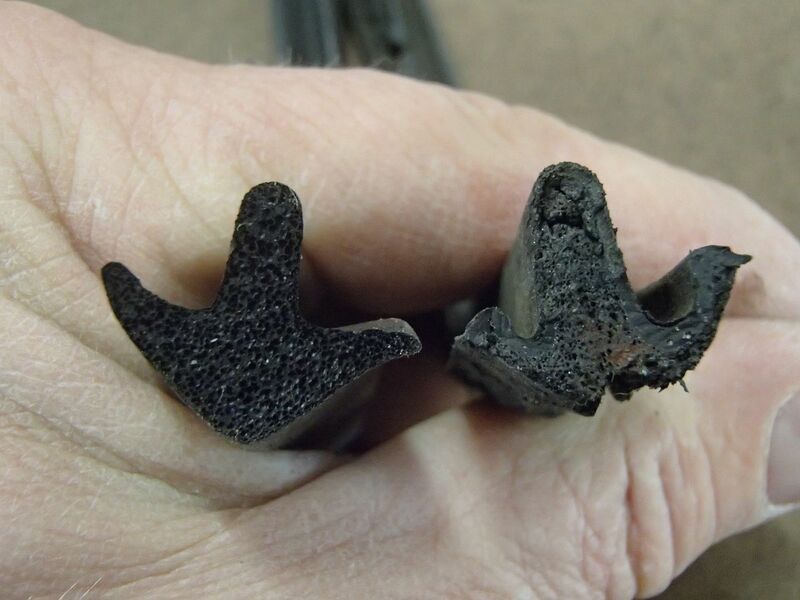 It would take way to long to rehydrate it and in the long run, purchasing tinned marine wire and running that new wire would be best solution in the end. Tinned wire is all I am using now. 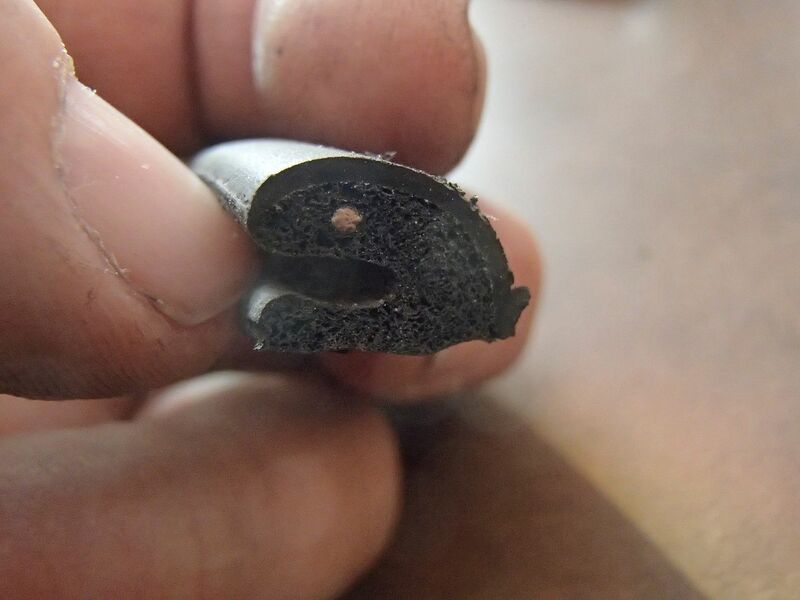 Same with epoxy filled heat shrink connectors. I have tossed all my regular crimp connectors. So just rewire what you have. 303 is a truly amazing product. It takes a lot of time to get the softness back into old brittle stuff. I use 303 on a lot of stuff. It won't strip important polymers out of vinyl and plastic's like most other products like armor all etc. Back to todays events. I got a tour of Dans building which aside from being a water jet business is also a ceramic tile manufacturing facility. He showed me a heated bed hydraulic press for making shaped tile from a clay powder. 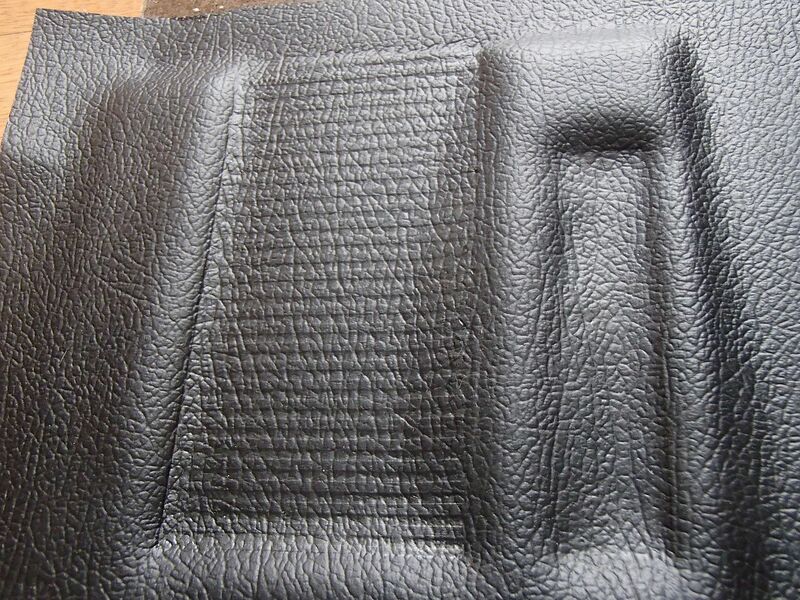 We discussed heated press plates for door panels and some ideas came up I am going to attempt. I am having trouble finding an oven that needs to be 40 inches wide and at least 12 inches deep. The bakery ovens I found were 4 to 7 grand. That is never going to happen. So I am going to experiment with temperatures and exposure times using much smaller samples and my wifes oven. I hope she does not read this. I can at least get that figured out. I will then probably buy a beater stove and scavenge two upper round burners and the controls and make my own oven. It needs to be electric for precise control and not gas. This is why I need a lot of time. If I can send Sadie back to Seattle with the old vinyl on the doors, I won't feel so rushed on this. You can't rush stuff like this. Those panels won't be perfect, but they won't be uncovered doors either. I am still waiting for the thin foam to show up. I will post more as I learn it. 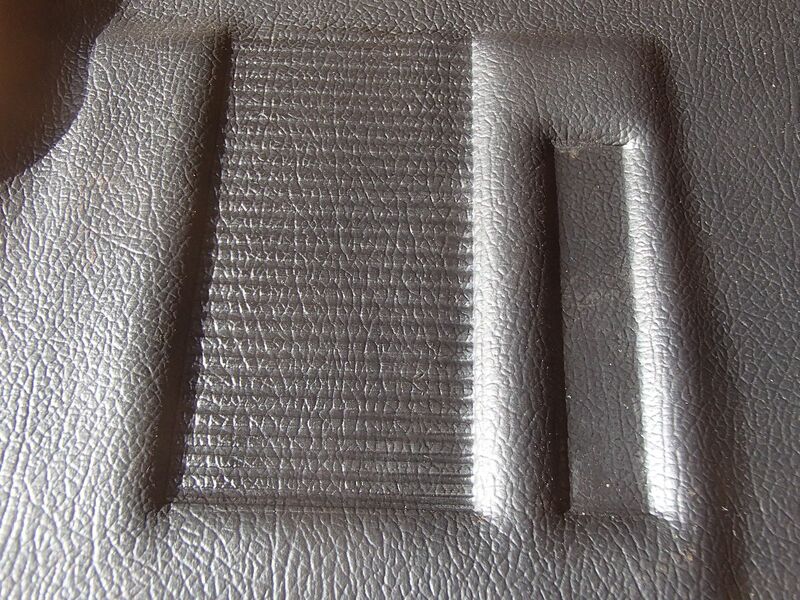 Those embossed door panels look really nice for just being test runs. I like how you try out the different options and then share the results, Al. On that note, would you recommend me trying out pliobond to fill and then sand on my steering wheel bezel (based on your experience)? Noticed the plastic on it is cracking in several places around the collar from just behind the horn bezel to the bottom where it connects to the steering column. I am debating trying it out instead of going with a JB Weld or epoxy and then sand/paint. Thank you. Pliobond is only for sticking things together. It will not function as a filler. It will stay somewhat gummy and not perform how you need it to. PC 11 is what you want. I would suggest getting on you tube and doing some searches on steering wheel repairs. The epoxy PC11 was a little tricky to use. I opened up the cracks with a dremel, taped the area next to the cracks to keep epoxy off of it, and filled the cracks with it. It was sticky and a little stubborn to keep it where I wanted it and built up just higher than the area around the crack. And I noted the steering wheel parent material sanded away just as fast as the PC 11. I started with a super coarse big toothed file. Then moved to finer sand paper as I got it to shape. So use care when doing your sanding and clean up. I put more tape on the wheel to protect against gouges from sanding or filing. I think it helped preserve the surrounding areas. I think you tube once you find a good video will help a lot. There is a lot of not so great information so look at a few. You can tell who knows what they are doing. If for some reason you needed to glue a brick to a piece of glass, and have it be fuel and oil proof combined with wind proof, well then Pliobond would be my choice. Still waiting on steering coupling boots to show. 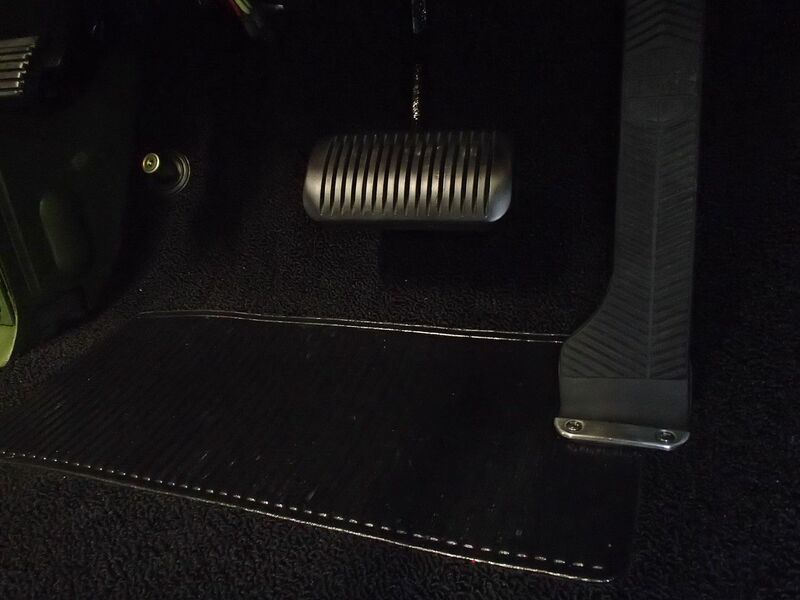 While wandering around the internet I found the correct turn signal switch WITH the correct hazard switch at Just Jeepsters page 2 of electrical. This is the right part for early steering columns. Correct wire colors, terminals and all. I started on the brakes and why the low pedal. I apparently forgot to adjust out the drivers front star adjuster and after about 8 - 10 turns the rotating drum just starts to touch the shoes. Well duh....I redid all the other wheels and the pedal feels way better. I can't really tell till the column is back in and engine running since the column clamps the mount and brake pedal bracket. If it is still a bit low I will carefully remove the master cylinder enough to check the power brake booster push rod depth for just touching the cup in the master cylinder bore. I know I set it up when it went in. Then possibly one more power bleed. Hopefully the pedal will be high and firm. Just ordered mine from Classic Chevy! Like Al said, the CROWN PART NUMBER 8132676K will NOT WORK. 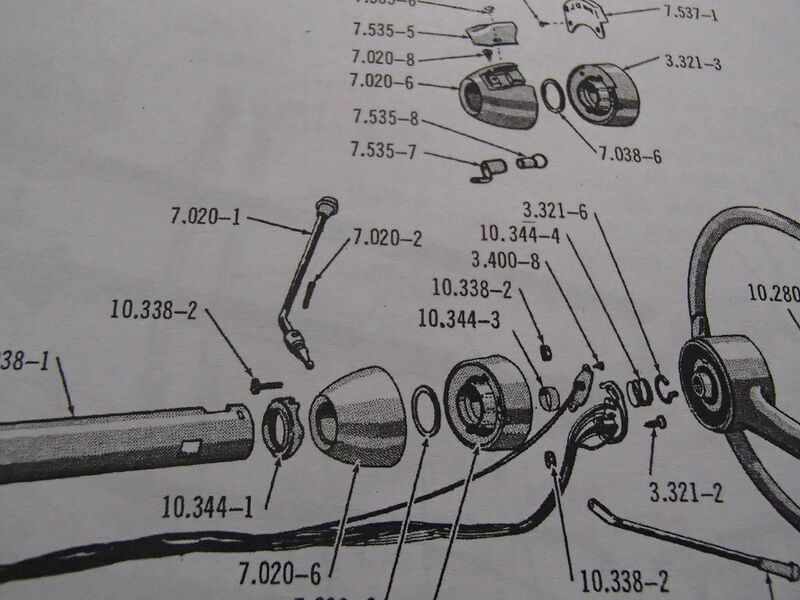 Here is a picture from the factory parts manual. The detail is not the best. I am now making the flanged bushing 7.038-6 from a very durable thermoplastic. If you need one send up a flare. Carefully insert the square head bolts in the bullet shaped barrel, then carefully slide the upper barrel on the column housing past the wiring harness making sure the bolts go through the upper so you can get the nuts on. 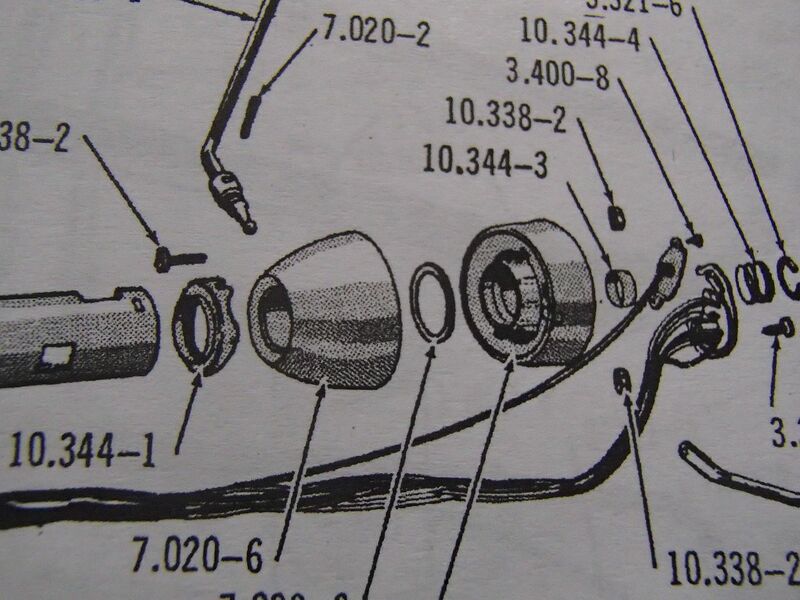 Don't forget the flanged bushing I mentioned between the two. 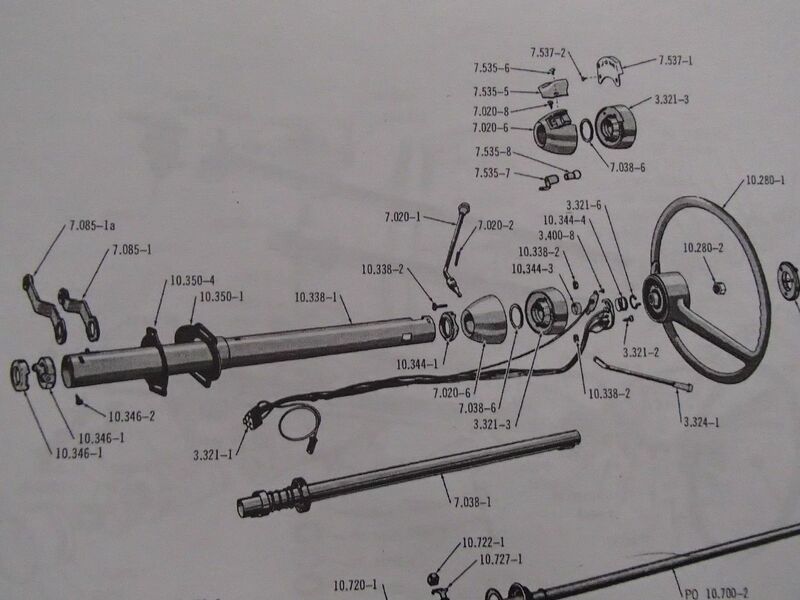 Steering shaft feeds in from the bottom last. Get the wiring harness in there too. Closer shot. Bolt 10.338-2 is the square head bolt. Even closer in case you need it. Last edited by Kaiserjeeps : 03-31-2019 at 08:40 PM.